Heat embossing - Craftgrrl - Where Crafters Unite! My crafty friend and I got together yesterday and it was awesome. We tried heat embossing and did some cardmaking. 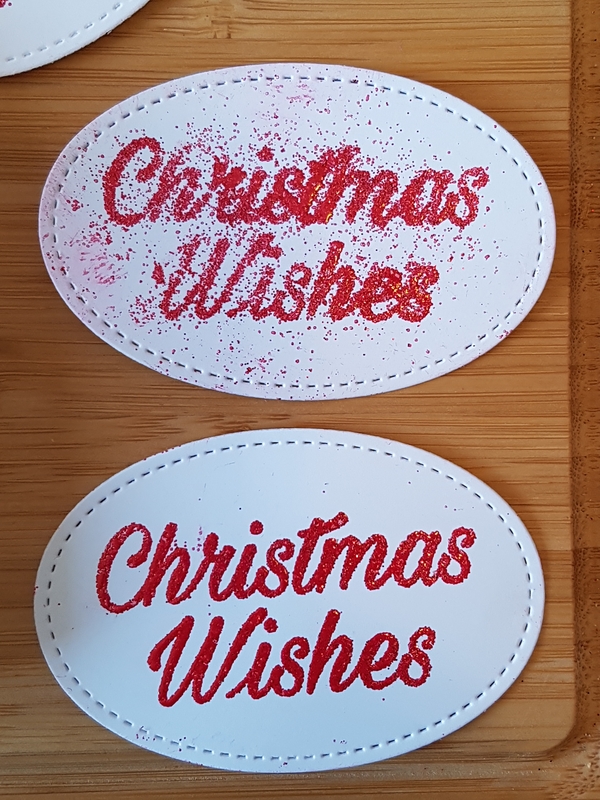 I had tried embossing before with little success, but we took turns. I would wager my problem was static. My province is incredibly dry (I didn't experience humidity until I went to the southern US in my early 20s :-D). We ended up using a glass dish instead of a plastic try and had much better results. 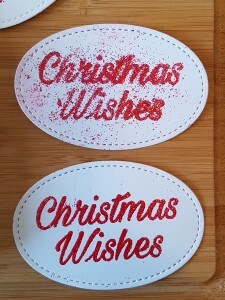 The only embossing powder I had on hand was red and green glitter embossing powder. I'm going to buy the regular stuff and see if that works better. Even the parts not stuck to Versamark ended up bonding with the paper. At least by the end of our tries we had improved! Thanks! I ended up purchasing one. I was surprised that it was smaller than I thought. Try using one of those over your surface prior to stamping w/ versamark ink. It will help a lot.